“Dale has been a key contributor to the growth of our business,” said John Rewcastle, president of Barcom. “He has demonstrated strong sales and leadership qualities over the last 13 years and we’re proud to have him lead our sales efforts moving forward,” Rewcastle added. Barcom, Inc. (Barcom), a leading provider of data collection automation solutions for warehouse and manufacturing markets, promotes Dale Conerly to vice president of sales and marketing for the company, effective immediately. In his new role, Conerly will be responsible for all direct and partner sales efforts throughout North America, with focus on expanding sales of its transACTION software suite and integration of emerging technologies. 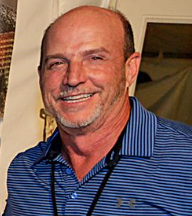 With over 25 years of experience in sales and commercial electrical contracting, Conerly joined Barcom in 2005 as sales engineer in the southeast territory covering Nashville, TN to Memphis and Mississippi. His love for computer electronics started during his term in the armed forces in the early 90’s, when he worked on a government contract to develop interdepartmental email. His sales experience spans from event planning to insurance; working with customers around the globe. In addition to his sales territory at Barcom, Conerly played a critical part in the set up and implementation of the company’s CRM (customer relationship management) system, and actively involved in launching the company’s professional services offering which includes consulting services, maintenance packages and custom programming. “As a company, we’re poised for growth,” said Conerly. “Expanding our sales efforts seemed like a logical next step, and I’m excited to lead our team,” he added. Barcom’s core focus is on bar code and RFID data collection solutions which integrate mobile computers, handheld scanning devices and bar code printers to increase operational efficiency and increase worker productivity in the warehouse, distribution center or manufacturing floor. They also develop their own inventory management and transaction-based software, transACTION, an all-in-one software tool that automates inventory management and data collection processes. Since 1991, Barcom, Inc. has provided automated data collection solutions to manufacturing, distribution, transportation and field service industries offering technical expertise and real-world experience to strengthen supply chain operations. In partnership with industry leaders, Barcom specializes in complete solutions for harsh environments; this includes transportation management systems, bar code scanning equipment, hand-held and vehicle-mount computers, RFID and RF equipment. Their engineers, programmers and help desk representatives offer a collaborative approach, and partner with IT resources at the client level to perform a variety of services from site analysis to post-implementation support. The goal is to develop automated solutions for each customer to eliminate paper-based processes and improve worker productivity, control operating costs and increase profits. For more information about Barcom, please visit http://www.barcominc.com or call (423) 855-1822.